She trained and practised as an architect before deciding to focus on the special relationship between light and architecture. Concerned with dynamics of human space and the role that lighting can play, she works in a big variety of settings, interiors and exteriors of any kind, approaching lighting to all aspects combining creativity, technical know-how with innovative and original design solutions. In more than 25 years of activity, she has been working on a wide variety of projects for both public and private clients. 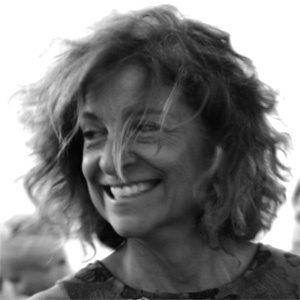 She has been President of APIL (Association of Italian Lighting Designers) from 2008 to 2014. She just completed the projects of interior and exterior of the Duomo in Milan. She has also been involved in the interior projects of Malpensa International Airport, Linate Airport and the International Airport in Venice. She also designed the interior lighting of two small terminals: Linate Prime Terminal renewal and Rome Urbe Airport New Passenger Terminal. “Palazzo Grassi” Art Exhibition Center renovation with Tadao Ando, “Shoah memorial” with Morpurgo in Milan, Railway Stations renewal in Milan, Rome and Florence. 2010: Winner “International competition for the Park in new city fairground redevelopment area , so called Citylife” in Milan /with Gustafson Porter, !Melk, Ove Arup e One Works. Înscrie-ți proiectul și ai șansa de a fi printre câștigătorii de anul acesta.